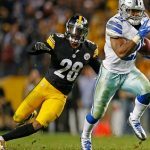 Will New Young Steelers Receivers Morph into the Next “Young Money”? Let’s take a stroll down memory lane to the days of 2010 and 2011. Ah, those were innocent times, weren’t they? Mike Wallace, a third-round pick in the 2009 NFL Draft, was catching 40-plus yard bombs on such a regular basis, people actually found it endearing that this was his best talent. As for Emmanuel Sanders, the third-round pick from the 2010 NFL Draft, he was developing into a fine number three receiver and showing signs of morphing into much more. Speaking of morphing, Antonio Brown, who was picked three rounds later than Sanders in the same draft, was just starting to blossom into one of the best, young receivers in all of football. In-fact, Antonio Brown had blossomed so much after his rookie season–a freshman campaign that included a spectacular and game-saving helmet catch vs. the Ravens in a thrilling divisional round playoff victory at Heinz Field–not only did he supplant the legendary Hines Ward in the starting lineup in 2011, he made his very first Pro Bowl. 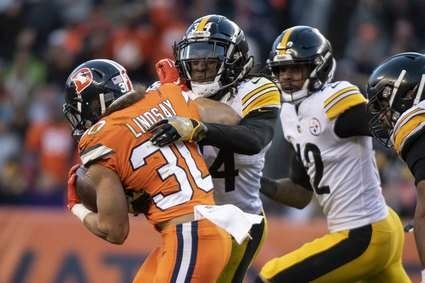 Things were looking up for the Steelers pup-like receivers, a trio that quickly dubbed itself Young Money –for both financial and clutch purposes. 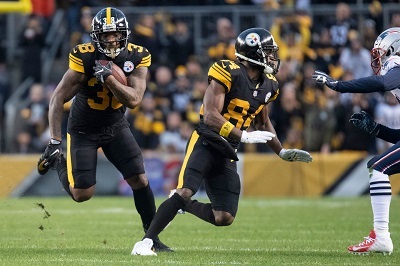 The future was bright for Pittsburgh’s wide-out position, so bright, in-fact, it was not uncommon for fans and even experts to proclaim the unit the best in the entire NFL. Then 2012 came along, and Mike Wallace, who was in-search of a long-term deal worth lots of money, decided to negotiate by holding out of all off season activities and the start of training camp. This, of course, alienated Mike Wallace from the fans, who quickly dubbed him a one-trick pony and didn’t find his deep-threat speed quite so endearing any longer. Mike Wallace would be gone a year later. As for Emmanuel Sanders, he would also alienate the fans by, one, not leaving in-exchange for the Patriots 2013 third-round pick (New England had signed Emmanuel Sanders, who was a restricted free agent, to an offer sheet which the Steelers matched, rather than allowing him to walk for a fairly high draft choice). Emmanuel Sanders would go on to further anger the fans late in the 2013 season by dropping an admittedly tough catch on a two-point try in a Thanksgiving Night loss to the Ravens (Pittsburgh missed the playoffs by a Ryan Succop field goal weeks later). Emmanuel Sanders then went on to sign a lucrative deal with the Broncos prior to the 2014 season — but not before unethically trying to leverage teams into giving him even more money. As a member of the Broncos, Sanders further “endeared” himself to Steelers fans by saying that his new quarterback, Peyton Manning, was so much more disciplined than his old quarterback, Ben Roethlisberger. When it came to Antonio Brown, the man everyone would soon affectionately call “AB,” he appeared to be the working man’s wide-receiver. 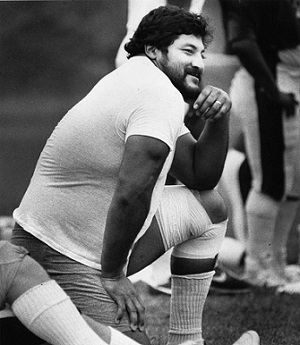 He played hard and worked (as in, worked out) even harder. His work-ethic and attention to detail were second-to-none. 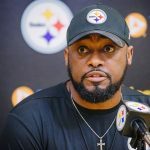 Not only did Brown quickly become the fan favorite among the Young Money trio, he was rewarded with a five-year, $42 million contract extension in the summer of 2012 — or right when Mike Wallace was holding out of training camp. 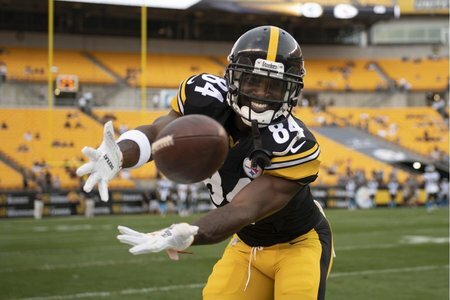 Not only did Antonio Brown blossom into one of the best, young receivers in the NFL, he soon morphed into not only the very best in the business, but one of the best of all-time–his six-year run that includes 686 catches for 9,145 yards from 2013-2018 is unmatched in NFL history. Antonio Brown was not only a huge fan favorite, he was an all-time Steelers great. Then the 2018 season ended, and, well, you know what happened. Since I don’t want to focus on Antonio Brown much more than I have to in this piece, let’s just say he did just about everything he could to ensure that he would have the ugliest divorce of any Steelers legend in franchise history. The question now is, how will the Steelers press on in the aftermath of Young Money? 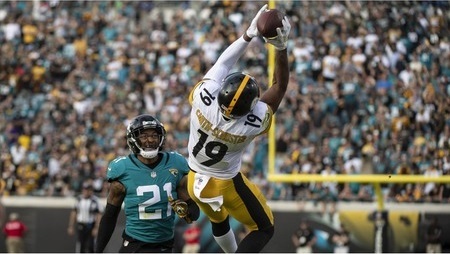 In Brown’s absence is JuJu Smith-Schuster, a third-year man out of USC, who not only became one of the most popular Steelers right out of the gate, he has become one of the new faces of the NFL. Oh yeah, he’s also a really good wide-out, complete with over 100 receptions and a Pro Bowl bid in 2018. Smith-Schuster has all the potential to be the next in a long-line of great Steelers receivers. But will be also morph into a problem child? Will he be the next in a long-line of diva receivers who the fans can’t wait to see leave town? It’s way too early to know for sure, but Smith-Schuster appears to be more Hines Ward than he does Antonio Brown. Not only is he a fierce competitor that loves to block almost as much as he loves to catch, he has great character–and it seems genuine. He has all the makings of a team leader, someone who would rather set a good example by being on-time to meetings, than demand preferential treatment while showing up late to them. 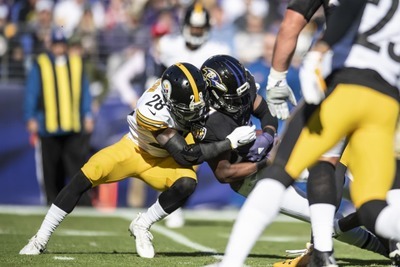 Speaking of character, there’s no question the Steelers have been targeting not only talented athletes in recent drafts, but youngsters with few red flags that may morph into the total package one day–including team leaders and captains. The jury is still deliberating about the future of James Washington, the team’s second-round pick from a season ago. But, so far, his only off-the-field activities seem to involve farming and fishing. 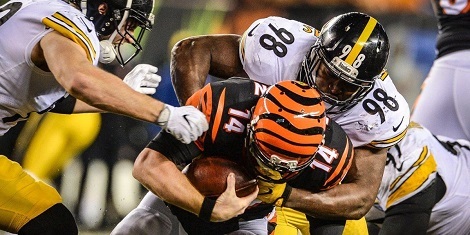 It’s way too early to know the exact future of the Steelers receiving corps as a whole, but given the character of JuJu Smith-Schuster and James Washington, it’s hard to see the unit giving birth to more problem children. In other words, there will be no reboot of Young Money in Steeler Nation. Taken from the grade book of a teacher wondering whether he’s just seen another momentary upward blip from his star students or a true ascent towards realizing their potential, here is the Pittsburgh Steelers Report Card for the win over the New England Patriots. Where to start? Play-by-play stats would appear to indicate that Terrell Edmunds and Morgan Burnett handled the bulk of the duties when it came to shutting down Rob Gronkowski and the number show that the duo delivered. Those same stats also show that Coty Sensabaugh did his part to shut down the Patriots. 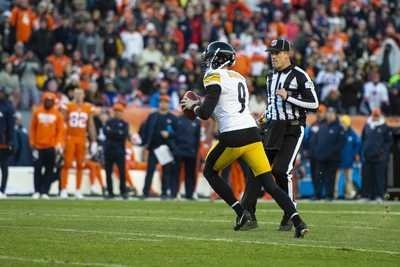 Honesty check: If I’d told you one team would have 14 penalties called on it and the other 4, you’d have guessed the Steelers self-destructed with penalties, again. No worries, I’d have said the same. But it was the Patriots who kept scuttling their own drives with penalties. 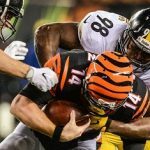 Unlike one week ago, Randy Fichnter appears to have gone into the game intent on establishing the run, and he deserves credit for designing plays that maximized Jaylen Samuels unique skill set. The Steelers lined up regularly with empty sets, but still ended up with well over 100 yards rushing. 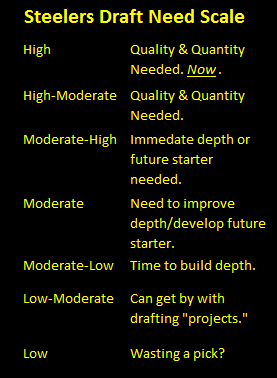 More importantly, when the coaching staff saw that Samuels could move the ball, they gave him more opportunities to do so which was a difference maker in the game. 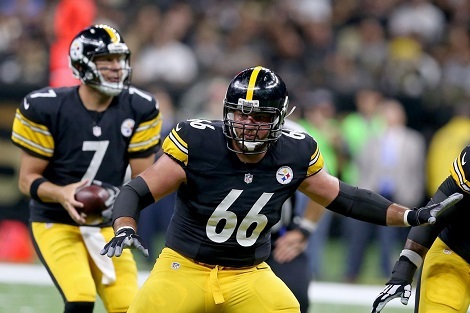 Keith Butler’s defense has taken a lot of heat in recent weeks, and for good reason. 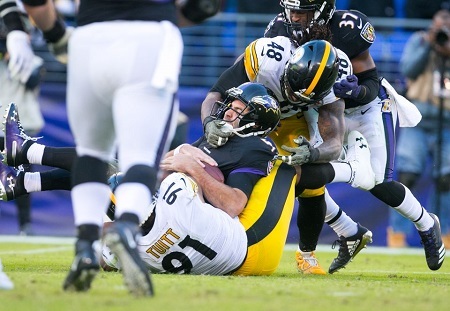 Thus far the Steelers defense has been chronically incapable of closing games. Yet the Steelers defense not only ensured that the Patriots didn’t on two Steelers turnovers, it also secured one of their own the Red Zone. The Patriots reached the Red Zone as time was about to expire, but unlike previous weeks, the Steelers defense delivered. 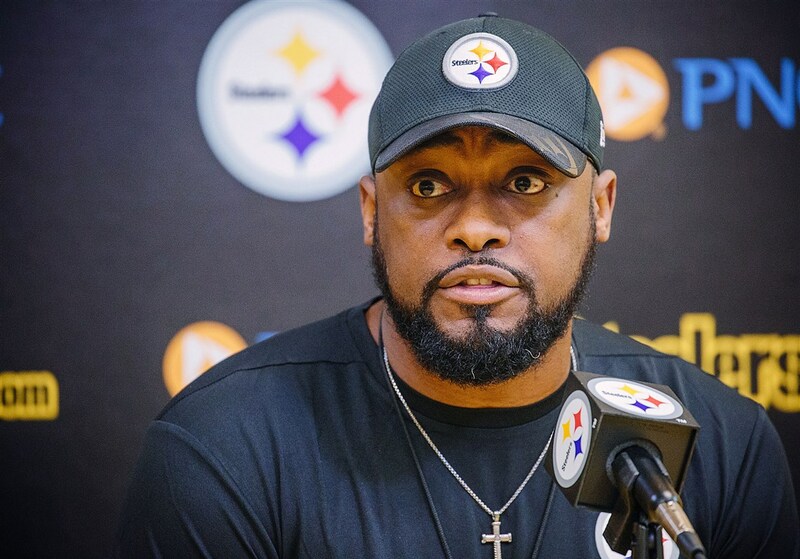 Finally, there’s the job that Mike Tomlin has done. Normally a 1 sack performance indicates a putrid pass rush. Yet the Steelers got in Tom Brady’s face early and often, and while they only brought him down once, they flushed him from the pocket numerous times and forced him to rush his throw. 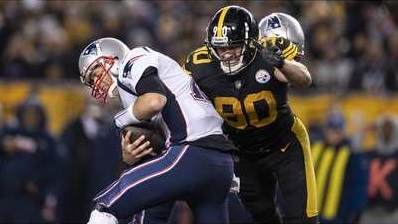 While the entire Steelers defense deserves credit for this achievement, Tom Brady’s to biggest antagonizes were T.J. Watt and Cam Heyward and, for that, they win the Unsung Hero Award for the Steelers win over the Patriots at Heinz Field.